“Montserrat Caballé, the Spanish soprano widely counted among the last of the old-time prima donnas for the transcendent purity of her voice, the sweeping breadth of her repertory and the delirious adulation of her fans, was one of the foremost opera singers of the second half of the 20th century. Ms. Caballé was an enduring, vibrant international presence, appearing at the Metropolitan Opera, with which she sang 98 times; Covent Garden; La Scala and elsewhere, as well as at the opening ceremony of the 1992 Olympic Games in Barcelona. She was also widely heard in recital, for many years making an annual appearance at Carnegie Hall. Ms. Caballé was, critics concurred, one of the sublime representatives of a type of diva most often associated with a bygone, golden era: smolderingly regal, seemingly inscrutable, a larger-than-life presence accorded godlike status by her reverential public. Ms. Caballé’s exalted status was won by virtue of the vast number of roles at her command (more than 100, an almost unheard-of tally, from fleet, silvery Mozart to weighty Richard Strauss and weightier Wagner) and the length of her performing life (she sang publicly until she was well into her 60s, more than a decade after a singer’s usual retirement age). Her recitals were often interrupted mid-song - after she had tossed off an especially intricate passage or scaled a particularly daring height - with wild cheering, foot-stomping and cries of ‘Brava!’. On one occasion, at Avery Fisher Hall in New York in 1983, a fistfight nearly erupted in the audience, with adulatory screamers on one side and pugilistic purists, demanding silence, on the other. But above all - and this is what moved her fans to ardor in the first place - there was the voice itself. For sheer vocal glory, reviewers wrote, few voices, if any, could rival Ms. Caballé’s. She was possessed of a lyric soprano that, though light and shimmering, was not without heft. It was renowned for its riverine suppleness, and for an ethereal translucence that few other voices could equal. Over nearly half a century, critics invoked adjectives to describe Ms. Caballé’s sound that would read as staggering hyperbole for almost anyone else: ‘She possesses’, STEREO REVIEW magazine said of Ms. Caballé in 1992, ‘one of the most beautiful voices ever to issue from a human throat’. Ms. Caballé displayed a noteworthy consistency of timbre throughout her range, largely sparing listeners the audible gear-shifting that can occur when singers move from low notes to high. Though she was not strictly a coloratura soprano, the innate flexibility of her instrument let her essay the Olympian heights of some coloratura works with ease. She was especially esteemed for her ability to spin out haunting, sustained pianissimos - the whisper-quiet passages that are among the most demanding tests of a singer’s mettle, entailing diaphragm strength and breath control akin to an athlete’s. All of these qualities made her voice particularly well suited to the bel canto repertory, consisting of elegant, filigreed works by 19th-century Italians like Rossini, Donizetti and Bellini. As a result of her prowess in that genre, Ms. Caballé was acknowledged to have helped spur a bel canto revival on opera and concert stages round the world at midcentury and beyond. She was also adept in other genres, counting among her repertory German lieder; the Spanish dramatic songs known as zarzuelas; the operas of Verdi, for which she was widely known; Richard Strauss’s Salome, which she called her favorite operatic role; and the title part in Donizetti’s LUCREZIA BORGIA, which propelled her to international stardom after a single performance in 1965. Ms. Caballé’s evident devotion to tone over text, reviewers complained, could result in diction so slipshod that it bordered on anarchy. At times she would actually substitute nonsense syllables for a song’s text, when she appeared to feel that the words as written, with their congestion of consonants, would impede the flow of pure, vowelly sound. She was no actress, critics agreed, a consensus in which Ms. Caballé cheerfully concurred. And her ample frame, reviewers sometimes noted, cut an unpersuasive figure of the consumptive heroine - think of Mimì in Puccini’s LA BOHEME that is grand opera’s stock-in-trade. Ms. Caballé also developed a reputation for pulling out of scheduled performances, a source of chronic irritation to reviewers and chronic disappointment to fans. ‘It is a standard joke in the business’, the music critic Will Crutchfield wrote in THE NEW YORK TIMES in 1986, ‘that ‘Mme. Caballé is available for only a limited number of cancellations this season’. And yet … there was the voice, for in the end, when it came to appraisals of Ms. Caballé, it was always the voice that carried the day. Writing in NEWSDAY in 1994, the critic Tim Page encapsulated the perennial contradictions of her art. ‘We attend Montserrat Caballé concerts for one reason - with the hope of being transported’, he wrote. ‘There are many more versatile artists, many more incisive interpreters and - God knows -many more venturesome programmers. But when Caballé is ‘on’ -as she was sporadically during her Tuesday night recital at Carnegie Hall - there is no more beautiful voice in the world’. That voice, Ms. Caballé often said, had been a gift from God - one on which she had built rigorous, hard-won training that her impoverished childhood had very nearly placed out of reach. Named for Our Lady of Montserrat, the patron saint of Catalonia, Maria de Montserrat Viviana Concepción Caballé i Folch was born in Barcelona on April 12, 1933. Amid the Depression, and the Spanish Civil War, she was reared in poverty. (In interviews throughout her career, Ms. Caballé diplomatically expressed equal pride in her Catalan and Spanish backgrounds. She was also circumspect about whether her family had been Republicans, supporting Spain’s democratically elected government, or Nationalists, supporting the military dictator Francisco Franco.) What was plain was that during those years, her family, formerly middle class, knew great hardship. Long afterward, when she was safely swathed in the jewels and furs that are a diva’s prerogative, Ms. Caballé recalled a time when she owned only a single dress. To the sneers of her classmates, she wore it to school every day for a year. It was clear that the child had a remarkable talent. Though her parents could scarcely afford it, she soon began studies at the Conservatori Superior de Música del Liceu in Barcelona, first on the piano and then, as a young teenager, in voice. Her primary voice teacher, Eugenia Kemeny, made her pupils spend a full year doing vocal exercises and breath training before they could approach real music. That training, Ms. Caballé would say afterward, let her sustain her career as long as she did. When Montserrat was about 16, her father fell ill and could not support the family, forcing her to withdraw from the conservatory. She worked for nearly a year in a handkerchief factory before attracting the sponsorship of wealthy Barcelona patrons, who agreed to support Montserrat and her family. 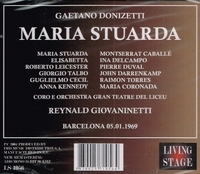 In gratitude, she returned annually throughout her career to sing in Barcelona. At 20, Ms. Caballé graduated from the conservatory with its gold medal for voice and embarked on auditions with Italian opera companies. Nervous and untried, she failed at all of them, inspiring one agent, she recalled, to suggest she forsake singing and find a husband. Trying her luck in Switzerland, she caught on with the Basel Opera in 1956, singing small roles until she was called upon to sing Mimì in place of an ailing soprano. She spent the rest of the ’50s and early ’60s singing throughout Europe. Ms. Caballé remained relatively unknown in the United States until April 20, 1965. She had been engaged to fill in that night for an indisposed Marilyn Horne, singing Lucrezia Borgia in a concert production by the American Opera Society at Carnegie Hall. Reviewing the performance in The Times, Raymond Ericson wrote: ‘Miss Caballé had only to sing her initial romanza, a typically melting Donizetti aria with small vocal flourishes, and it was apparent that here was a singer not only with a beautifully pure voice but an outstanding command of vocal style. It was not surprising that so early in the opera the audience stopped the performance for five minutes with its applause and cheers’. The performance established Ms. Caballé’s international career. She made her Met debut in December 1965, singing Marguerite in Gounod’s FAUST. Ms. Caballé’s career was not without difficulties. Over the years, she endured a series of illnesses, including phlebitis, a heart attack and a benign brain tumor, resulting in missed performances. ‘I don’t cancel because of temperament’, she told THE CHICAGO TRIBUNE in 1995. ‘I have had seven major surgeries in my life. I have had tumors. I have had two children with Caesareans; you don’t just get up and sing the day after one of those’.